Founded in 1919, the Lombardo Orchestra is the longest running dance orchestra in the world; with over 500 hit songs to its credit - more than any other orchestra in the world. Since Lombardo’s first TV show in 1954, this orchestra has played for more than 1.5 billion viewers, making a New Year’s tradition out of the Scottish ballad Auld Lang Syne. They have sold over 500 million musical albums. After the death of Guy Lombardo in 1977 his orchestra remained somewhat out of touch for more than a decade. 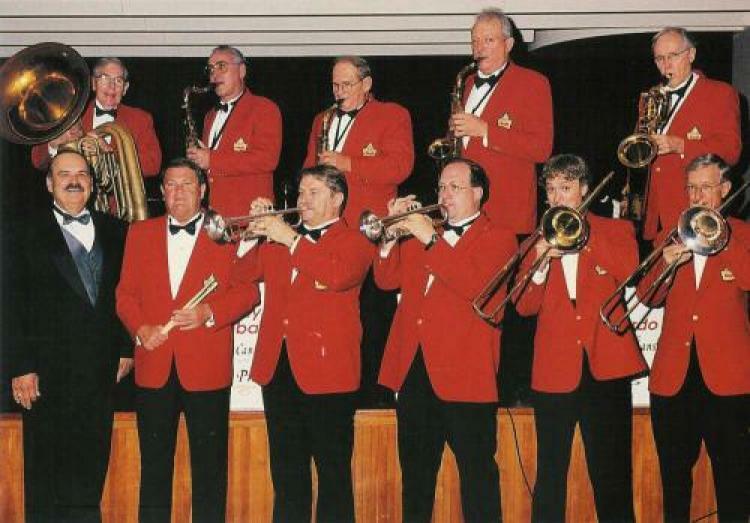 In 1989 the legend was taken over by Al Pierson, who at the time was in charge of another up and coming group called Al Pierson Big Band USA, which was widely recognized as one America’s finest new dance bands, having performed worldwide and recorded 14 dance albums and selected in the Ballroom Hall of Fame along with Lombardo, Welk, Glenn Miller and other famous band leaders. With Pierson’s leadership, the orchestra has toured every major city of the United States and 54 other countries and has received numerous musical awards.